Home › Is My Piano Out Of Tune? The short answer is yes, your piano is out of tune. Unless you just had your piano tuned by a highly competent piano tuner technician in the last couple of hours, and your piano is very well made, and you maintain a constant humidity level around 50% along with a constant temperature around 70 degrees (F), your piano is out of tune. 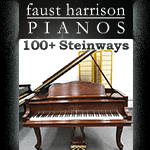 If your piano is an acoustic piano (you don’t plug it in to play it) there is a nearly 100% chance it is out of tune. To what degree is something else though. String instruments (and the piano has a lot of strings) go out of tune regularly because the length of the strings gets constantly stretched out and shortened. What Causes Pianos To Go Out Of Tune? Playing certainly has something to do with it, particularly in instruments like the guitar or violin, but even the piano is effected by playing. All things being equal the harder and longer the piano is played, the more it will be knocked out of tune. Changes in humidity and temperature also effect the tuning. In particular because the soundboard of the piano changes shape as it gains and loses moisture, which stretches and shortens the strings, nudging them out of tune. Consider that the majority of the piano is built of wood, which means a lot of the instrument is susceptible to some amount of swelling and shrinking. There are other factors that play into the piano going out of tune. How well the instrument was designed, how well it was built, the stability of the tuning pins and pin block, and a number of other factors that get too technical for this short article. As a piano tuner-technician I get my share of calls from people who “think their piano might need a tuning”. I typically ask them when it was last tuned, I cringe when they answer “I don’t remember”, or “it’s been years. This tells me not only is it out of tune, it could well be way out of tune, requiring more than one tuning to bring it back up to concert pitch. And if the piano hasn’t been tuned in years there are likely other issues that will need to be addressed. Don’t be surprised if your piano tuner tells you the piano will need more than one tuning to get it back up to proper pitch. Personally I prefer to perform the pitch raising over time, but many tuners will attempt it in one visit. Be aware that they will need to charge you more for a major pitch raise as it will take them longer than a standard tuning. He or she is not trying to get more money out of you, it legitimately takes more work. How Long Will The Tuning Last? If you’ve been reading this entire article by now you know the answer to this questions is … it depends. First let me say that although most clients I have only get their pianos tuned once a year (if that often) the tuning will not hold for a year. There are just too many factors working to knock the piano back out of tune. The difference is, a really well designed and built piano that is being properly maintained and tuned by a qualified piano tuner-technician will sound better longer. That said, it will still be out of tune long before the year is up. This is why pianos being used in professional environments get tuned frequently. A good example would be a recording studio near my home. The owner of the studio contacts me every time they have someone coming in to record who will be using the pianos. It doesn’t matter if I just tuned it a week ago, he will have me come back in and tune them. I say them because they have three, which means depending on how many they will be using for the session I might tune 1, 2, or all 3. I have friends who tune for concert halls and music conservatories. There are pianos in these venues that get tuned every day. That’s right, I said every day (except days when the venue is closed of course). The bottom line is, your piano needs to be tuned as often as possible, but a bare minimum of once a year. Why Should I Spend the Money to Keep My Piano Tuned? I’ve been tuning for over forty years now, I’ve heard all the questions and the excuses for not having the piano tuned regularly. Here’s the thing, if anybody in the house wants to play the piano, do it for them. Nobody wants to play an out of tune piano, or one that has notes that won’t play properly. Plus some of your friends, neighbors, guests may play. 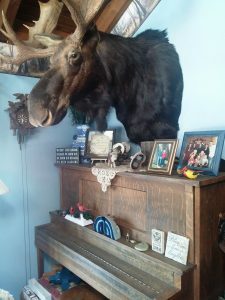 I can’t tell you how many times I’ve been a guest at someone’s home when they find out I play piano and ask me to play. I cringe if the piano is out of tune (or worse). By the way, fixing notes that don’t play properly is not part of a tuning, although many of us will fix one or two without charging extra if it doesn’t take too long. Otherwise we will point out what needs to be fixed and give you a quote. Depending on our schedule, we may be able to make the fixes while we there, or we may need to ask to make another appointment. Particularly if someone is taking lessons, learning music, singing, etc. ! Part of learning to play an instrument is ear training. Learning what notes sound like what, hearing how combinations of notes form chords, etc. If the piano is out of tune what the student thinks is the sound of a C chord (three notes played together, C,E,G) is really the sound of a B♭ (if the piano is sorely out of tune). The piano is an intricate machine full of thousands of finely regulated parts. On average the piano has approximately 235 strings whose total tension equals tons (yes, tons). Treat it well and you should enjoy it for years to come. But please please please, hire a professional to maintain your instrument and listen to what he or she tells you. 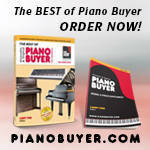 We really do have the best interest of you and your piano in mind. After all, our reputation depends upon it. PLEASE Clear Everything Off the Piano Before the Tuner Arrives!